NOAA's Office of Ocean Exploration and Research is the only U.S. federal organization dedicated to exploring our unknown ocean. 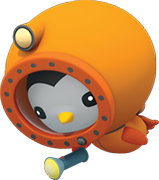 The Octonauts are a team of quirky and courageous undersea adventurers with the mission to explore new underwater worlds, rescue amazing sea creatures, and protect the ocean. Now, NOAA's Office of Ocean Exploration and Research and the Octonauts have teamed up to bring you even more great deep-ocean information, to help you learn about and protect our ocean. Happy exploring! Learn more about animals that live in the deep ocean with these NOAA/Octonauts Creature Cards! Ask a grown up to help you print your favorites to color and collect. 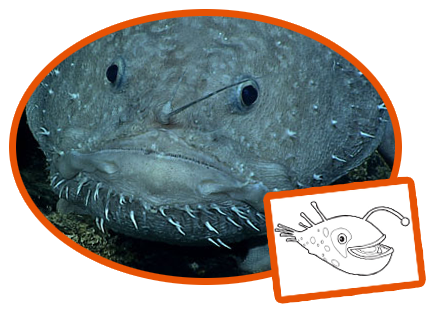 Anglerfish live all over the world, deep in the ocean where it is always dark. Learn more! 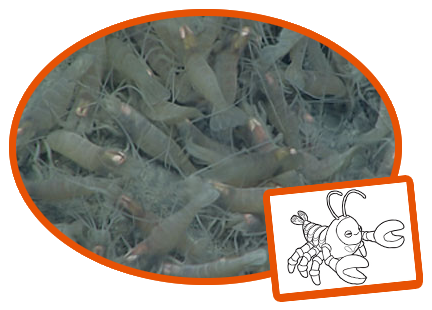 In the deep ocean, hydrothermal vents are often oases of life, with bacteria at the vents serving as a main source of food for other animals – like vent shrimp. Learn more! 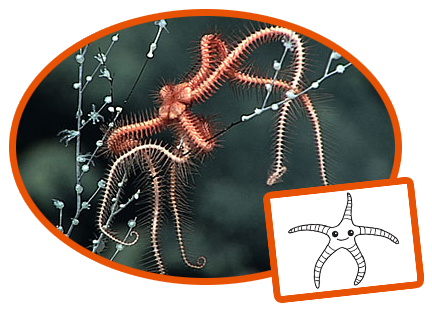 Brittle stars are found all over the world, mostly in the deep ocean. Learn more! 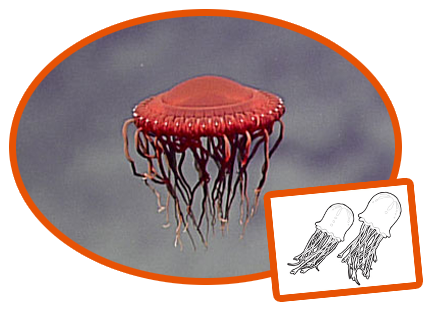 Jellyfish are not actually fish – they have no backbone and are actually related to corals and anemones! Learn more! From vampire squid to siphonophores, gulper eels, and more – check out this chart of some of the creatures that live in the deep, dark ocean.